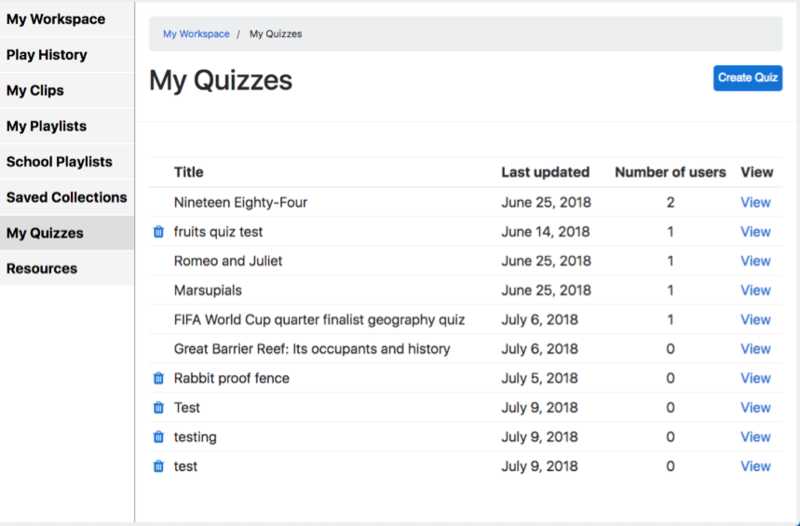 My quizzes gives you access to the quizzes you have created for your students, shared, created and participated in. In this section you can Create Quiz, View and Delete. Please note, the create a quiz function is only available to Paid, School and School Trial accounts, To access My Quizzes, go to your workspace then click on My Quizzes. 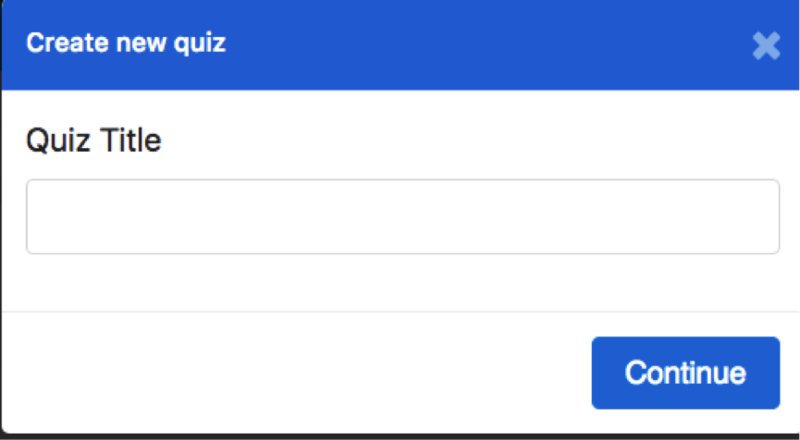 To create a quiz, click on the Create Quiz button. A small box will then open up and ask you to enter a title for your quiz. To upload an image, click on Click here to upload an image of your quiz. 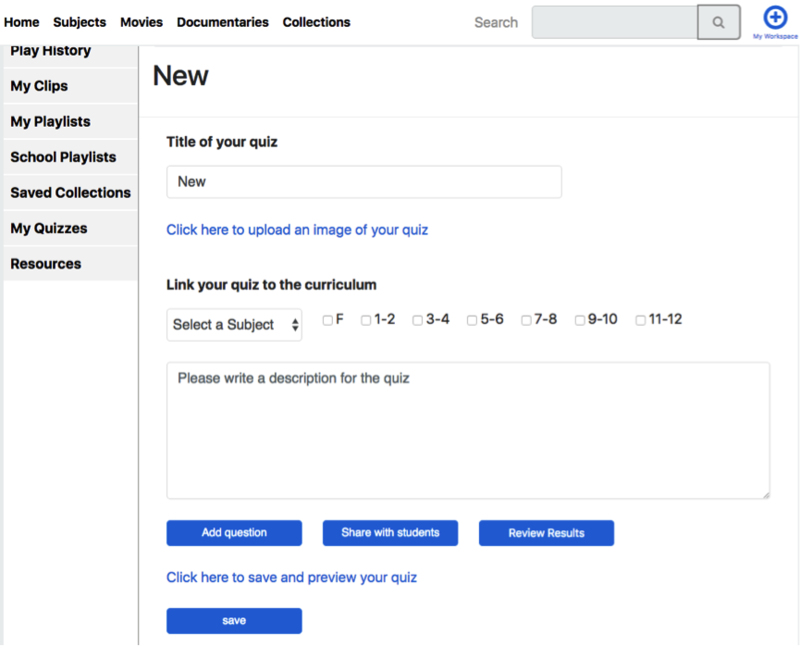 Under the heading of "Link your quiz to the curriculum", you will be able to specify your quiz subject through one of 29 drop down topics, select the year groups the quiz is appropriate for and then enter a brief description for the quiz. Below the description box is 3 options : Add Question, Share With Students and Review Results. Add question will give you a screen that will let you type in your question, give multiple answers (One answer per line) and then select the correct answer in the drop down box. Also if you wish to add a specific clip or video from EnhanceTV to support the Question, just copy and paste the URL in the video link box. Once finished, click Save. 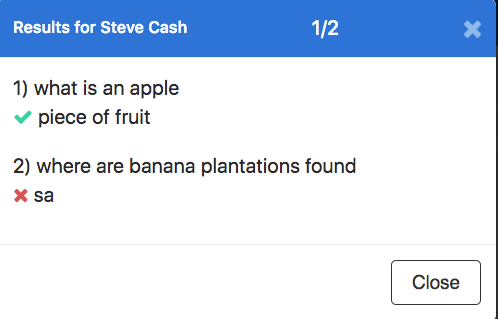 Clicking on the share with students button will give you a screen that contains a unique link with the quiz so you can share it with your students. 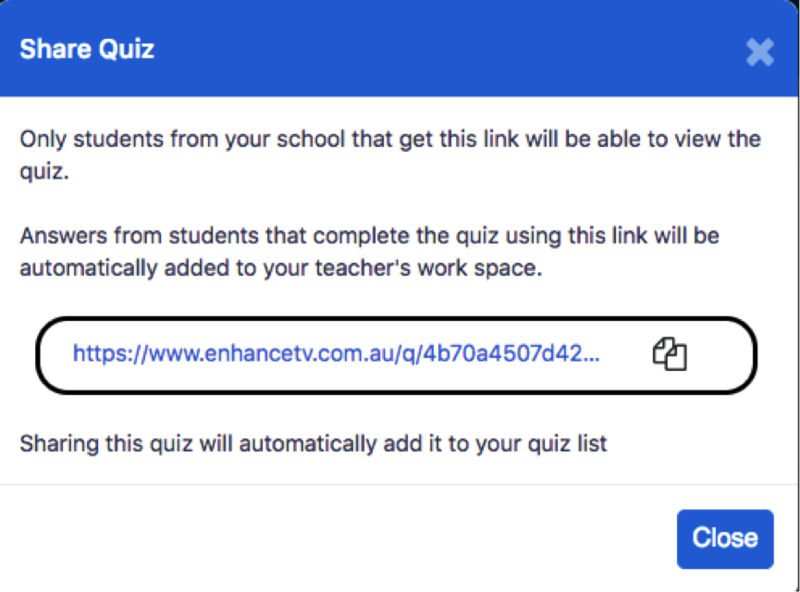 Every time a student completes the quiz via this link, the answers will be made available to you for review in the My Quizzes section of your workspace. Clicking on Review Results will give you a list of students, number of attempts, their marks and Time/Date. You can either select the "View" button to view an individuals results (See below) or you can select "Download Results" which will provide all the results as an Excel spreadsheet. 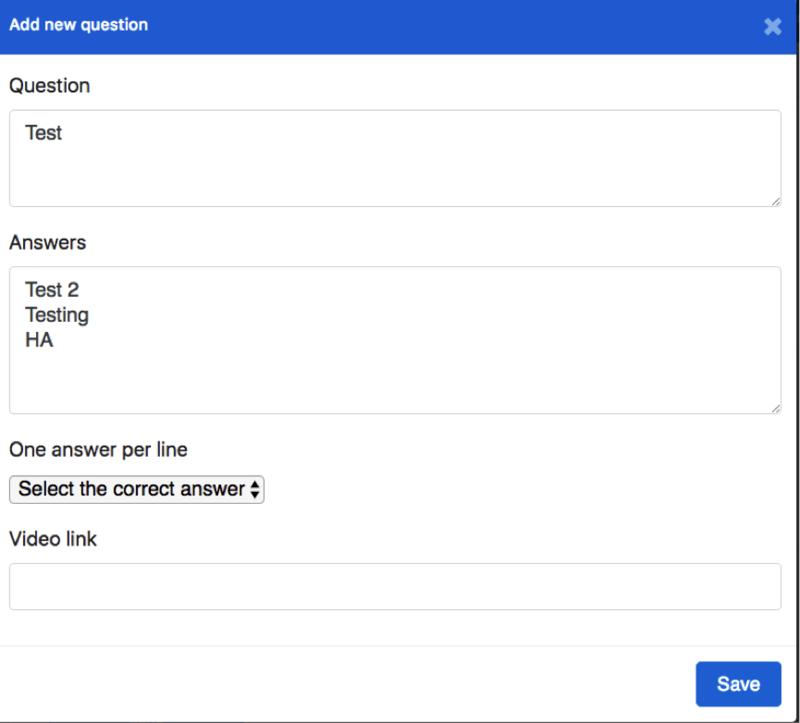 Clicking on Save and Preview Your Quiz will show you how your quiz will appear to your students. The View Answers option is only available to teachers.